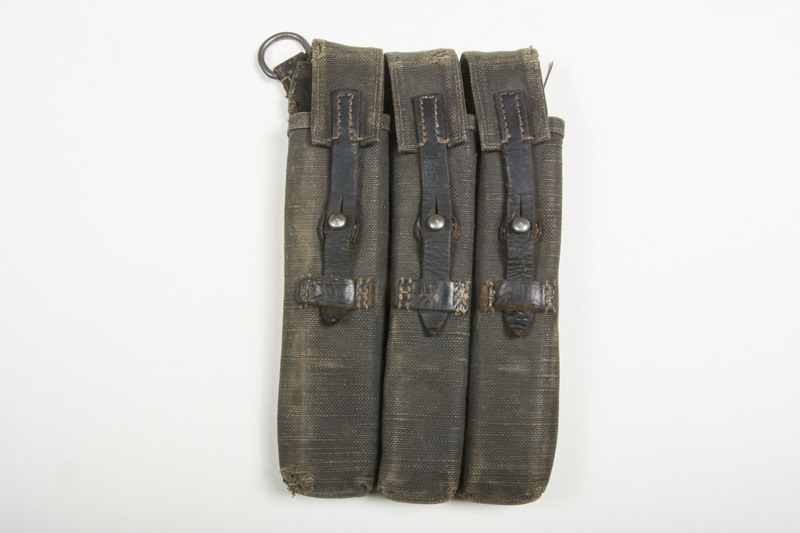 Nice early pattern MP38 and MP40 ammunition pouch with the D-ring in the far corner. 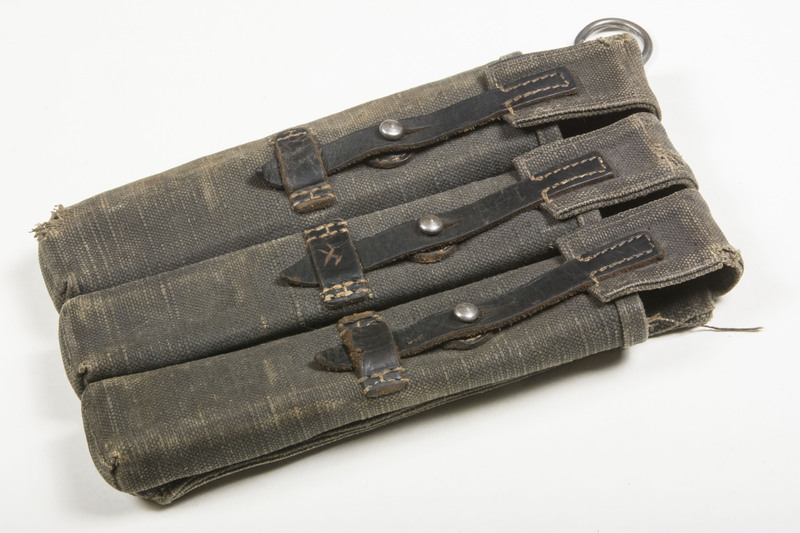 Nice to combine with a holster. 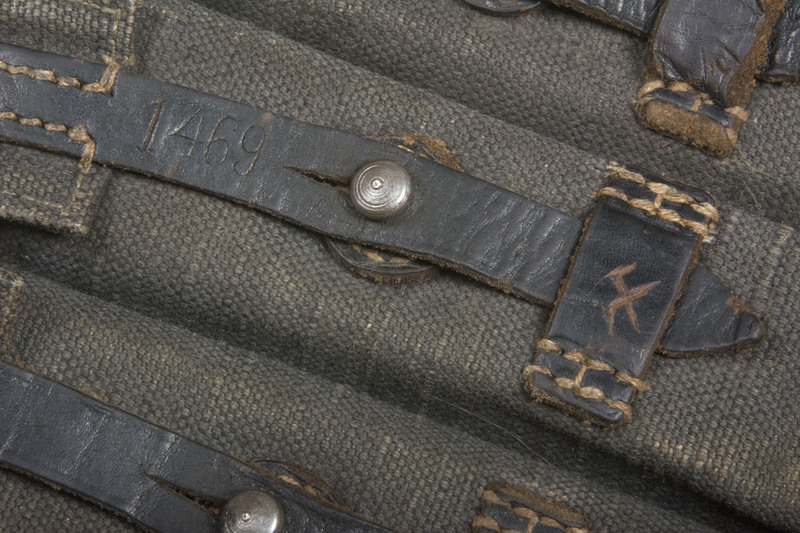 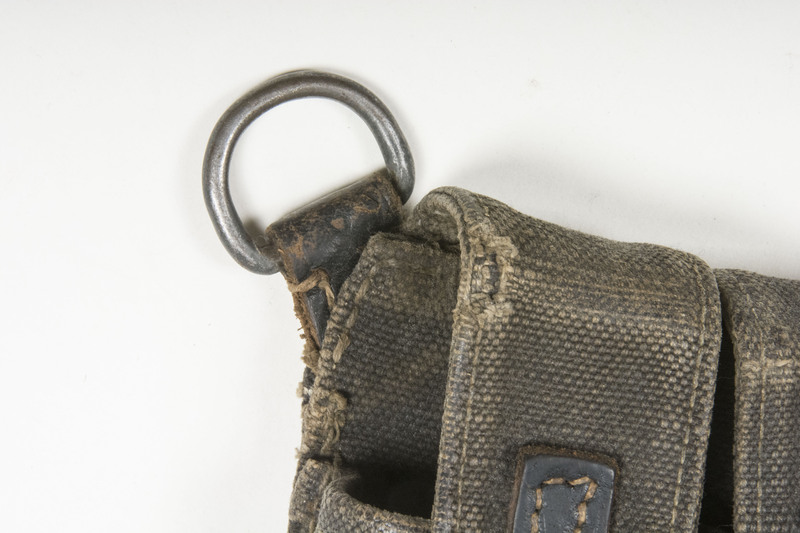 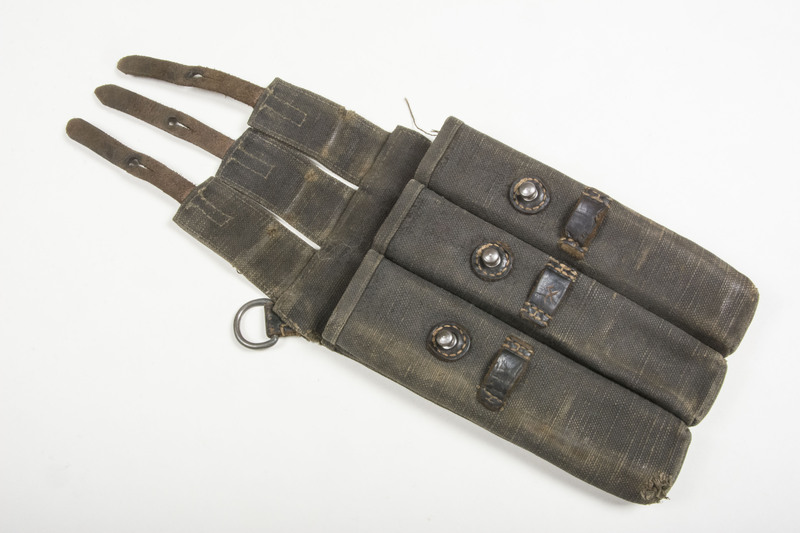 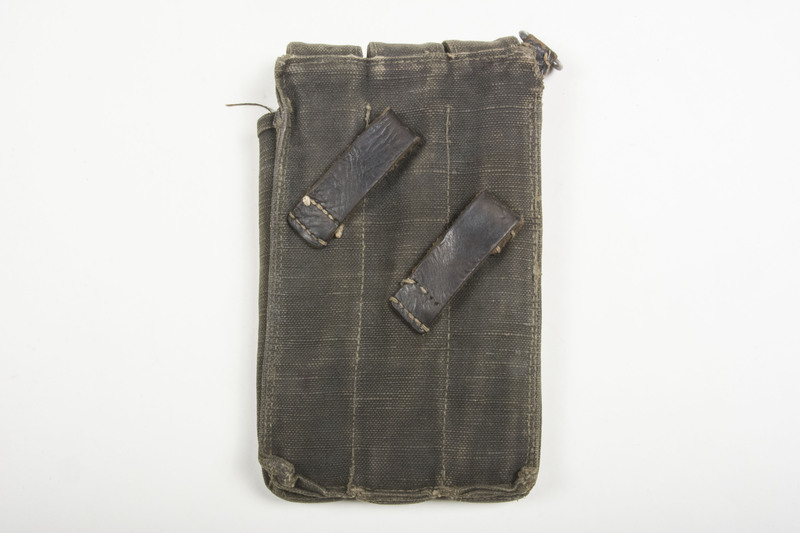 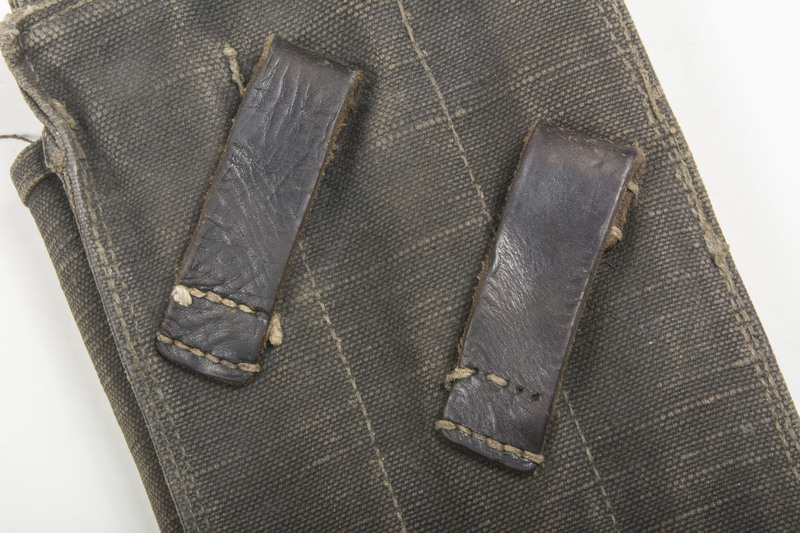 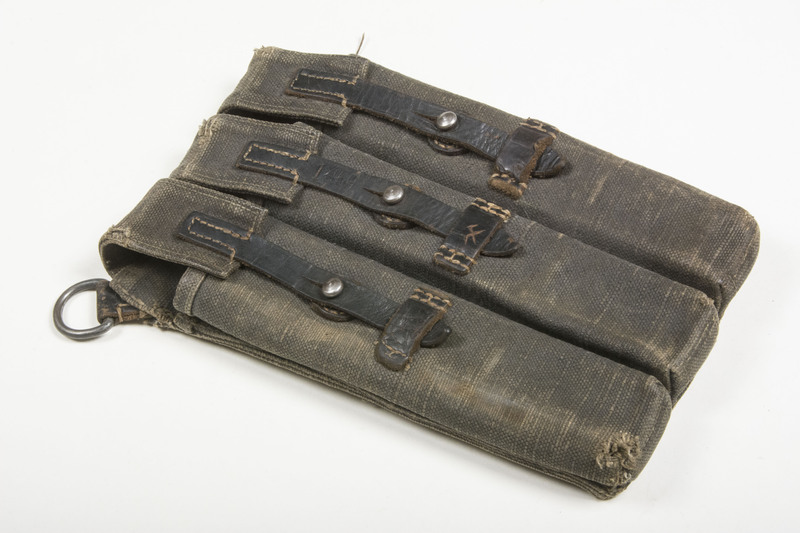 A nice original MP38 ammunition pouch, unmistakingly combat worn!